Infographics are all the rage these days, and it's easy to see why. We live in the Age of Big Data, and, according to the New York Times - the sheer amount of existing data is growing at "...50 percent a year, or more than doubling every two years." We're moving into a new data-driven society, where every indtustry - from science to sports to entertainment and more - is shifting "...toward data-driven discovery and decision-making." But what the hell do we do with all of this data? It's overwhelming to try and process it all based on numbers and stats alone - particularly at the rate we're collecting it. Infographics are "data visualizations." 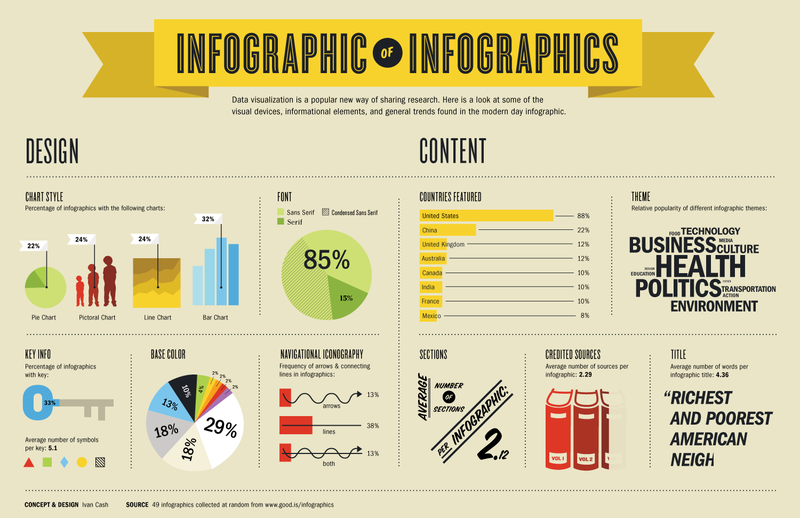 Far more than just a graphic design - infographics are designed to tell a story. Within these massive amounts of data is a narrative, one that can be supported by data. The purpose of an infographic is to distill a large amount of in-depth, complex information down to a format that viewers can easily digest and understand. The execution should be designed to support the story. Data is already complex, so the design, layout and flow of the information should, by contrast, be concise and clear, allowing the viewer to be able to quickly process all of the data and understand the story. The takeaway should be a clear understanding of an often-times complex idea. Where are the female engineers in Volkswagen&apos;s Super Bowl ad? Will design save Volvo from melting into vanilla oblivion?